Hospitals increasingly use process models for structuring their care processes. Activities performed to patients are logged to a database but these data are rarely used for managing and improving the efficiency of care processes and quality of care. 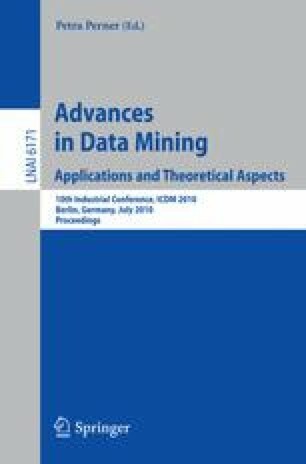 In this paper, we propose a synergy of process mining with data discovery techniques. In particular, we analyze a dataset consisting of the activities performed to 148 patients during hospitalization for breast cancer treatment in a hospital in Belgium. We expose multiple quality of care issues that will be resolved in the near future, discover process variations and best practices and we discover issues with the data registration system. For example, 25 % of patients receiving breast-conserving therapy did not receive the key intervention "revalidation”. We found this was caused by lowering the length of stay in the hospital over the years without modifying the care process. Whereas the process representations offered by Hidden Markov Models are easier to use than those offered by Formal Concept Analysis, this data discovery technique has proven to be very useful for analyzing process anomalies and exceptions in detail.